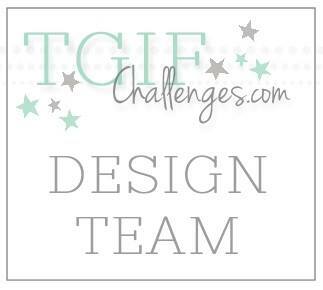 It's time for another round of the Artisan Design Team Blog Hop! This is the last week featuring the products in our September box of goodies, and next week we will move onto the October box. As always, be sure to click the "Next" button at the end of each post to see everyone's projects! One of my favorite things the make is sets of note cards. 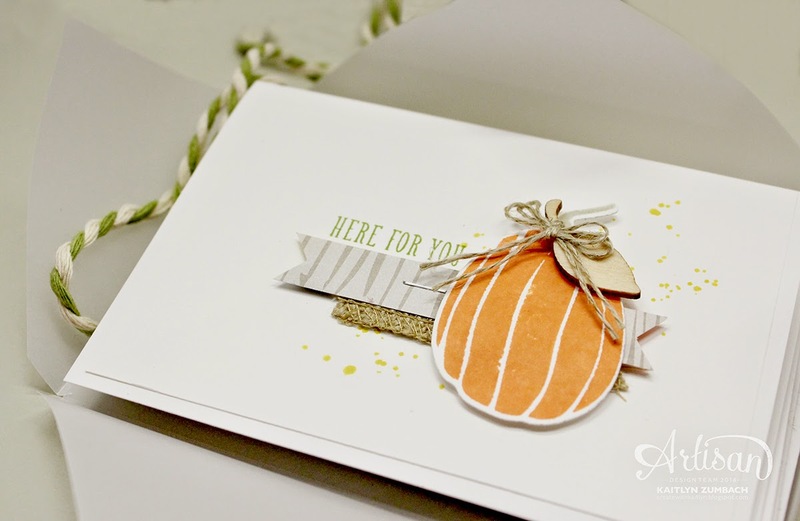 The Note Cards & Envelope make creating a card so quick and easy! Then package them up and you have a great little gift! A couple of years ago at a regional event, one of the make and takes was a set of note cards packaged in some Vellum Card Stock. This has become my favorite way to package a set of note cards! To make the perfect sized envelope for four note cards and envelopes, you will want to cut your paper to a 7-1/4" square. Then use your Simply Scored with the Diagonal Plate, and score two opposite sides at 2-3/8" and the other two at 3-3/8". For this set, the vellum is kept closed with some Natural & Old Olive Two Tone Trim, but you could use any ribbon. What I really love about the vellum as packaging is that you can get a little peak at whats inside! Then you untie the trim and see what beauty waits inside. It is like opening a gift! When I create with note cards, I tend to leave lots of white space and have very few layers. So that means I did lots of stamping with the Fall Fest stamp set! I wanted these cards to be good for everyday use, so I also used the And Many More stamp set for the sentiments. The Autumn Wooden Elements are such great embellishments. 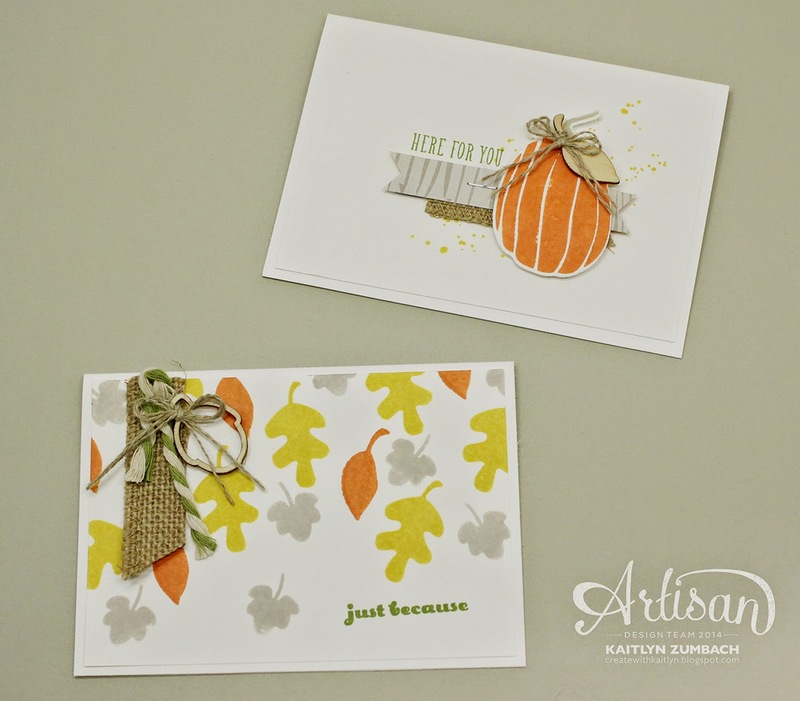 Their natural look go great with the autumn feel of these cards! I added some touches of the Motley Monsters Designer Series Paper for some fun patterns. Staples were a must for attaching most of the embellishments! I loved not having to mess with adhesive when attaching the burlap. 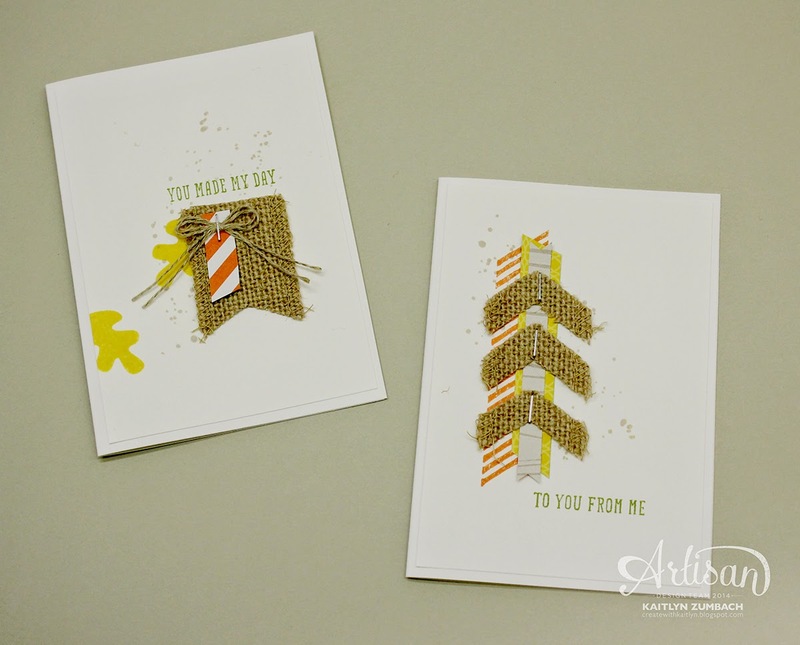 I think my favorite part of these cards is those burlap chevrons! All I did to create them was fold some Burlap Ribbon in half and cut it at an angle twice. The width of the chevrons depends on how far apart your cuts are. They are so cute and easy to make! 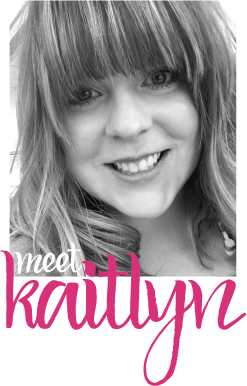 Continue the hop by clicking the "Next" button below to head on over to Kate's blog. I know she has something great in store for you! Great idea! Think I will whip some of these up for gifts! These are cool. Love the pumpkin one especially. 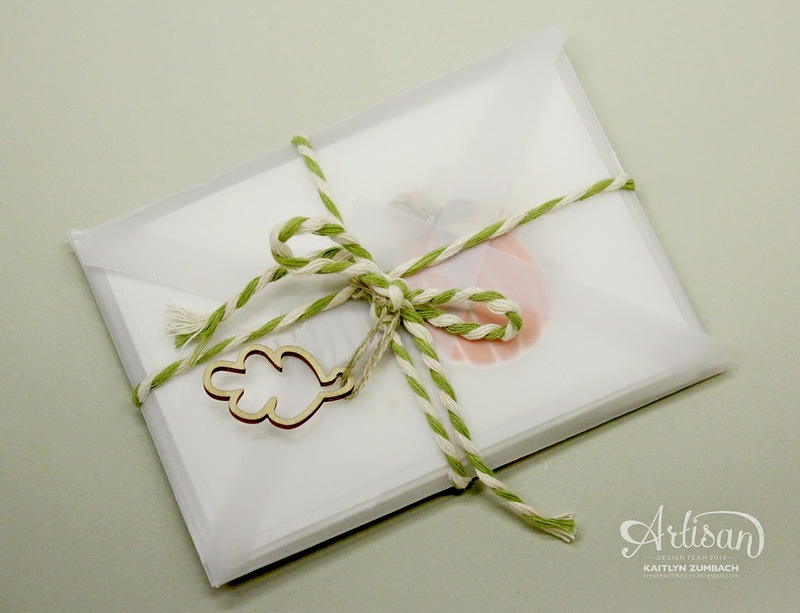 the vellum envelope is my fave!